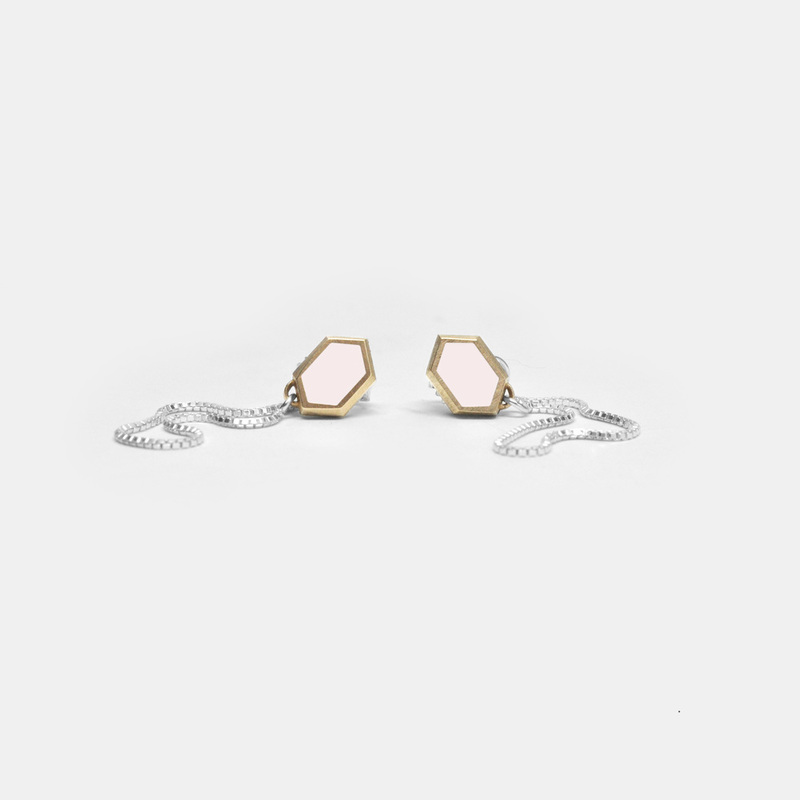 Perfect for everyday wear, the Hexagon Stud Earrings are neatly finished in brass and sterling silver with your choice of inlay color. A delicate sterling silver chain loops around to the back of the ear. A subtle detail that adds dimension and length to a minimalistic design. Choose from a soft palette of Salt White, Jet Black, Pale Mint or Dusty Rose. 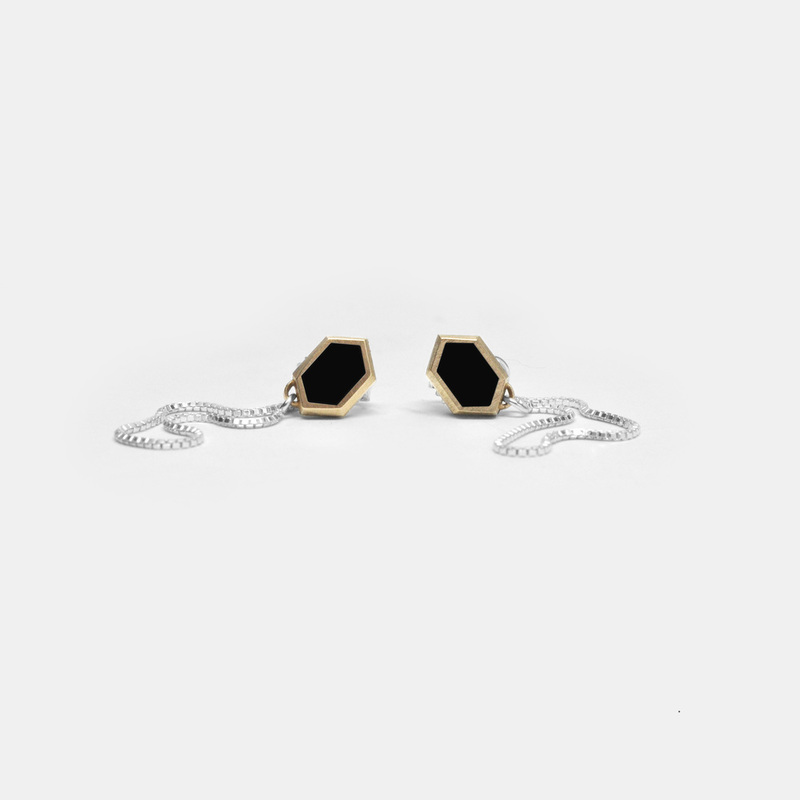 Each pair of earrings is thoughtfully crafted by hand by Marisa Lomonaco Jewelry in Beacon, New York.